This little rabbit looked content sitting in a shaded white clover patch beside the road. As we rounded a curve in the road, there sat two rabbits — an older one and a younger one. The older rabbit quickly hopped away, but the younger rabbit lingered there a little longer and continued to enjoy the delicious grass. 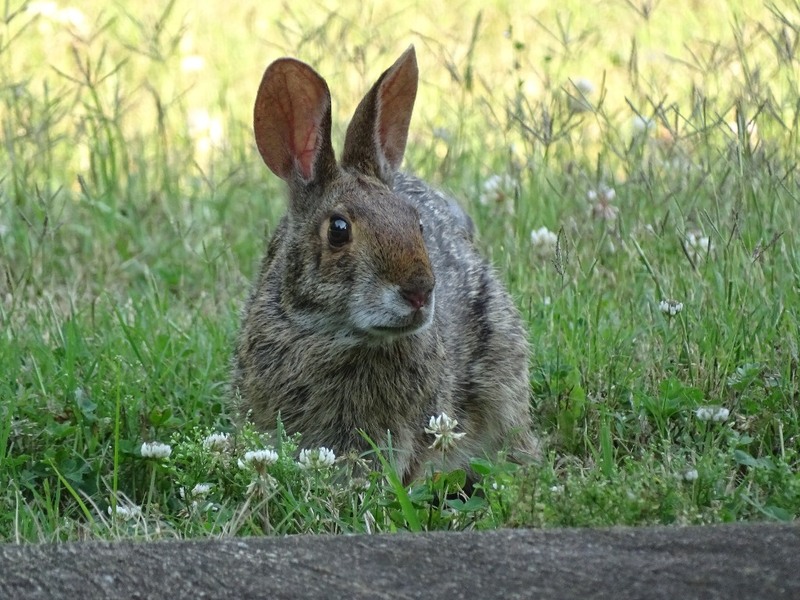 Recently, we came upon this rabbit that was leisurely nibbling away on lush, green grass along the roadside. He seemed to have a preference for the tenderest and tastiest blades, and was carefully using his nose to graze along the ground in search of a delectable afternoon snack. 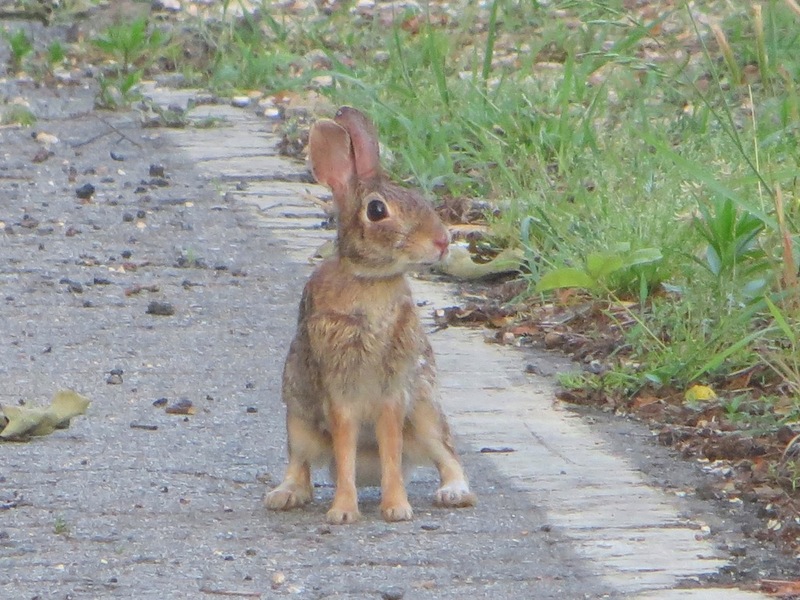 While out for a walk on our country road, I suddenly came face to face with a startled rabbit. He was frozen in his tracks and was sitting like a statue with one eye intently gazing at me. Clearly, he had not expected this encounter. After sizing each other up, I proceeded forward, and the rabbit took off like a shot.